Refering to peoples children as “their spawn”. Forgetting to put deodorant on in the mornings. Answering the phone at work with my mouth full. Jumping back into bed after my shower in the morning. 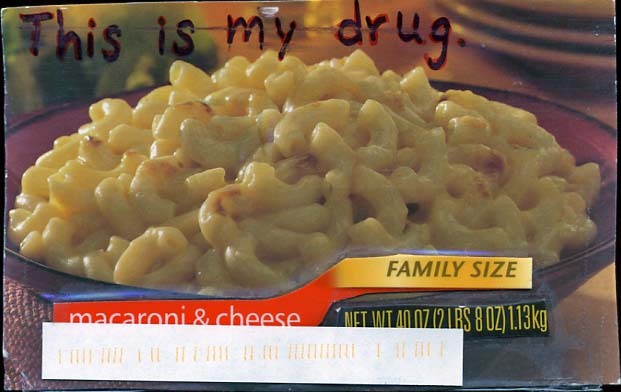 Eating Macaroni and Cheese (« from Post Secret). Neglecting to supplement my alcoholic beverages with water. Talking about the colour of my pee. This entry was posted on Monday, April 3rd, 2006 at 10:16 pm	and is filed under Lists.